Golden West Industries (GWI) is a US based dust mitigation company specializing in mining, shipping and handling of all types of material globally. 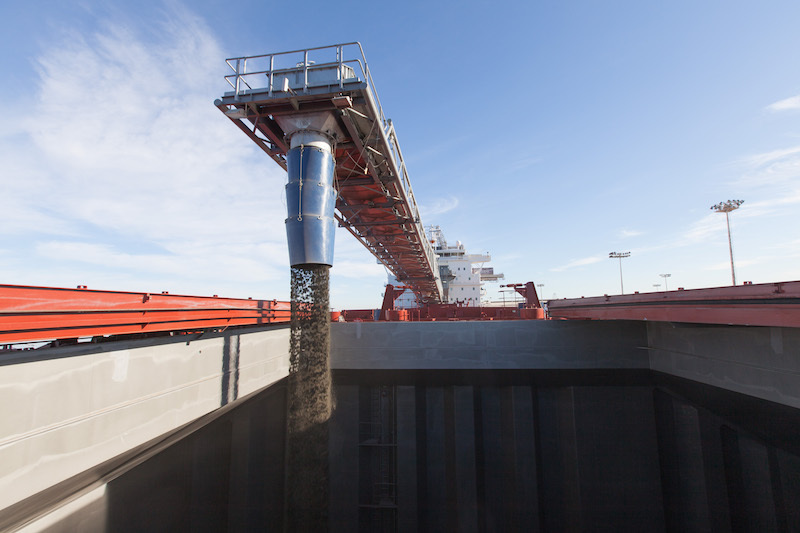 GWI works closely with the ocean going vessels as well as land-based loading/unloading com- panies to ensure proper dust abatement satisfying clients in the US, South America, the Pacific Rim/Asia and anywhere shipping occurs. GWI’s speciality products are used with self-unloaders as well as non-self-unloaders across the world with extremely satisfying results. The products are manufactured in the US and distributed via multiple containers including bulk, ISO containers and totes. This allows the vessels to load the product, or be used at ports/ports of loading. The equipment is also in house and is provided to the end user or fleets with an additional cost(s). Professional technical services directors are part of the equation and are available for installations and 24/7 questions and port of call — main- tenance or servicing in all regions of the world. GWI’s dust reductions with coal, gypsum, iron ore, copper (even food grade products), are guaranteed to reduce fugitive dust to 80% reduction levels — however, its standard operating levels are at 90–95% reduction level on average. Regardless of the size of shipment/cargo intentions/vessel dynamics, Golden West Industries is prepared to handle any and all situations. Its highly trained members of staff are available for any situation and dedicated to the company’s clients. Generally speaking, GWI’s products are liquid in nature and reduce water consumption by up to 80% with highly favourable results. The equipment is small and easy to operate, install and function for years to come — even in salt water conditions. GWI has been treating material on ocean going vessels since 1999, and on land facilities since 1991.